Saving for your next ride? 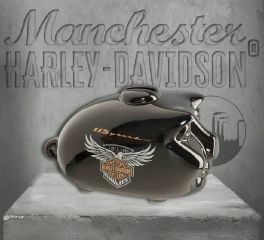 This 115th Anniversary Limited Edition Mini Hog Bank is perfect for you! This ceramic mini hog bank features a removable stopper and 115th Anniversary graphic on both sides. One of a kind additional piece in your collections.